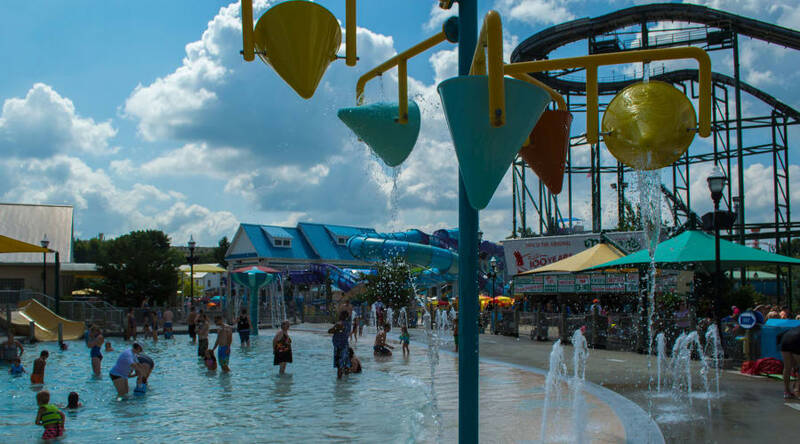 Enter Bayside Pier℠ attraction via a zero depth entry ramp and enjoy rolling waves, fountains, tipping cones, and more! 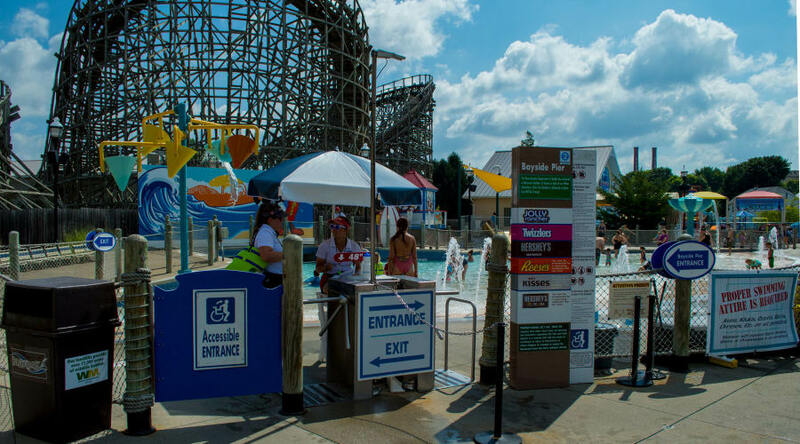 This splash area is perfect for smaller children looking to cool off and soak up the sun. The average depth is 18 inches. This ride may not accommodate guests of a larger size (height and/or weight). 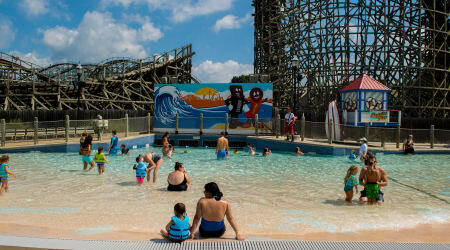 The weight of a rider may not exceed 300 pounds on the slide.